MOBA games have been around for years, but have mostly been available for the PC platform. 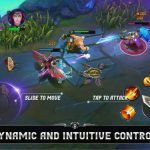 The arrival of Mobile Legends: Bang Bang created a world-wide phenomenon as it successfully brought the MOBA genre to Android and iOS devices. It was only a matter of time before millions of fans took notice. If you are new to the scene, the game follows the classic five-versus-five format of the genre. In this game you team up with four other players, and you will each control one hero. The goal is to defeat the enemy team by destroying their base. Heroes have different skills and stats, which you can improve further by buying equipment. Mobile Legends: Bang Bang promises 10-minute matches and skips over the early lane phase to allow players to jump into the action. Despite the simplified controls and mechanics, the game did not lose any of the complexity of MOBA games. You will need to work well with your teammates and come up with tactics to defeat your enemies. 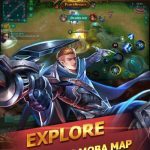 That’s where our Mobile Legends: Bang Bang beginner’s guide can help you, so read on! One of the most important things that will help you in any MOBA game is familiarizing yourself with multiple heroes. Sure, playing with your favorite hero helps you get more kills, but it won’t necessarily win you more battles. Since there are different roles in Mobile Legends: Bang Bang, you need to be able to adjust to your team composition. You can’t just stubbornly pick who you want and expect your team to win. Remember, the battle begins at the hero selection screen. With that in mind, it is a good idea to try to master different types of heroes. This can be challenging at first, since you won’t have access to all the heroes. The game gives you a couple of heroes for free but after that, you will have to buy any other hero that you want to use. The good news is, you can try out different heroes for a week. 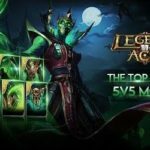 The game temporarily unlocks several heroes for a week. The roster changes weekly, so make sure you check out the rotation regularly. This is a great way to expand your hero knowledge and maybe even test drive a hero before deciding to buy. As we mentioned above, the battle begins during hero selection. If you do not pick the right champion for the job, you could put your entire team at a disadvantage. When you are still starting out, it might be difficult to decide who to go for. We have listed a few reliable heroes below to help you with that crucial decision. She is the first hero you will receive, and you can stick with her for a long time. She is a Marksman which means you can deal damage from afar. All her skills are ranged, and they deal decent damage. The best one in her arsenal, however, is Destruction Rush. It can easily melt through the enemy’s health bar. Use it to quickly take down enemy heroes. The key to successfully using Layla is learning how to kite your enemies. Keep running while hitting, then unleash your ultimate when you see someone with low health. If melee combat is more your style, then he is the guy for you. He is a Fighter with a wide range of attacks plus life steal that keeps him alive during battle. He can jungle pretty well thanks to his sustain, but you can also stay in lane to serve as a tank. Soak up the damage while your allies hit from the back line. Just don’t get too carried away with taking damage since your life steal can only do so much. She is an Assassin with unbelievable damage. She does not take hits well, so you should stay out of sight until you have a clear shot at a target you can take down. Stay in the bushes or anywhere behind your team’s tanks, then jump in when you can secure a kill. You should also build a few defensive items to help her survive in battle. Knowing every nook and cranny of the map is important for any player. You won’t have time to keep checking the map just to see where you are going. Learning the map by heart will help you move around quickly and anticipate enemy movement. Check out the major areas of the map below to get a better idea of where you need to go. There are three lanes in the game: top, mid, and bottom. Minions who spawn from each base will travel down these lanes. The lanes are guarded by turrets that you will need to take down in order to advance towards the enemy base. Remember to stay behind your minions and let them take the damage while you kill off enemy minions. In between the lanes are areas that have a few farming spots. You can get gold, experience, and boosts by killing off monsters in the jungle. The problem is, you won’t have minions to back you up. Some heroes are better at jungling than others because of this. Even if you choose to play in the lanes, check the jungle from time to time to pick up boosts such as double damage and double experience. These are strong monsters that spawn late into the game. You will normally need the entire team’s help to take these monsters down. Even if it is time consuming, killing off these sub bosses is always a good thing because they will give your team boosts that can help you secure victory. Always remember that you are playing a team game. No matter how good you are at playing, you cannot keep winning without your teammates. Know your role and learn to adjust to match the rest of your team. Consider picking up a tank if your lineup is already full of squishies. Always communicate with them and never lose your cool. Things will only get worse if you start bickering in the middle of battle. 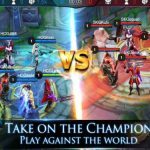 A common mistake among new players is the assumption that Mobile Legends: Bang Bang is all about getting kills. They keep going after kills and ignore the lanes. No matter how many kills you get, your team will not win if you do not push towards the enemy base. Just guide the minions towards the lanes and let them take the hit while you attack the turrets. Once all the turrets in a lane is gone, you can proceed to tear up the enemy base. Some teams are able to turn a game around despite being at a disadvantage by just pushing diligently. Learn to prioritize securing objectives and you should see an improvement in your win rate. At the start of the game, before you head into your respective lane, try to pick up a couple of monster kills in the jungle. Just ask your tank or support to help you kill off one jungle camp in order to get a level advantage as soon as you reach the lanes. If you play your cards right, you may even be able to secure first blood when your enemies arrive. Of course, if you are the tank or support, you should give up the jungle monsters to your carry. Again, it is all about teamwork. Some heroes have a higher learning curve than others. It may take you more games to figure out how to use them. Just because you ended a game with 20 deaths does not mean you should stop using that hero. As we mentioned earlier, there are heroes on rotation every week. Pick one or two new heroes from that rotation and use them the whole week until you master them. Heroes like Franco can discourage new players. It takes a lot of tries before you can land Franco’s hooks consistently. Once you master this skill, though, you can become one of the most annoying heroes to play against. Mobile Legends: Bang Bang is pretty generous with freebies as long as you are an active player. You get two free chests when you log in. These chests will refill every four hours, so you will get more rewards if you check back in later. Rewards include experience, battle points, hero tickets, emblems, and magic dust. Make sure you take advantage of the free chests as often as you can because they can help you out a lot. Aside from the free chests, you also get medal chests that give out even more rewards. These, however, require a bit of work. You will need to play a few games in order to open medal chests. Two victories should be enough to open one. Rewards from medal chests include premium skin fragments. It is a good way to get skins for your heroes without spending real money. Are you ready to become legendary? Just remember everything you learned from our Mobile Legends: Bang Bang strategy guide and you will surely emerge victorious!